The Mind knows about phenomena, including those of its own imagination. This 'aboutness' is central to the Buddhist view of mind. But immediately after knowing about an experience, the mind tries to slot the observed phenomena into categories, by matching them to 'universals' or 'universal forms'. So if I see a pair of new shoes in a cardboard container, which has a bottom and four sides, I will immediately fit both left and right shoes into the general category of shoe, and their cardboard container into the general category of box. But where and how do these 'universal forms' of shoe and box exist? Do they exist as some Platonic Form in an external realm of ideas, or are they purely projections of our own minds? And what about intermediate forms? If you cut the sides of a wooden box down a millimeter at a time, at some stage it will become a tray. So does the wooden structure then disengage with the universal form of box and engage with the universal form of tray? Similarly, you can chop bits off and add bits to a shoe to turn it into a boot or sandal. But if you do this gradually, when does one type of footwear come into existence and the other cease? Those western philosophical traditions derived from Plato claim that the universal forms of shoe, box and tray do have some real, independent existence, whereas Buddhist philosophy says that the universal forms have their origin within the mind, which projects them onto the external world. Moreover, some Buddhists would claim that universals derive their existence by mental exclusion. In other words, the universal of shoe is derived by excluding everything that is non-shoe. Bizarre though this mechanism of double negation (known as 'Apoha') may seem at first sight, it is surprisingly algorithmically efficient, allowing a universal to be derived in around 20 logical steps. 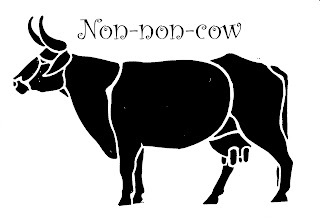 It is taxonomically efficient to define a class in terms of the few major criteria that exclude non-members, thus allowing one to ignore the myriad minor forms of variability with the class. "APOHA (Sanskrit—exclusion; properly speaking, anyapoha—exclusion of another [meaning] or anyapohavada—the doctrine of the exclusion of another)—a technical term of Buddhist philosophy to designate a theory of meaning. As a consequence of the acceptance of the theory of non-persistence (anityata) and non-substantiality (anatman), Buddhist logicians rejected the possibility of any general concepts arising which would grasp external reality which changes from moment to moment (ksanikatva) and is unrepeatable (lacking similarities). Generalization (the creation of a universal) is a process that makes mental images distant from perceptions (which grasp individual beings) and which leads to non-reality; concepts are therefore illusory. Words refer to concepts and have no real relation to things, nor do they carry any content that could apply to things. A universal (a general concept) arises by a distinction of an object from among objects different from it. 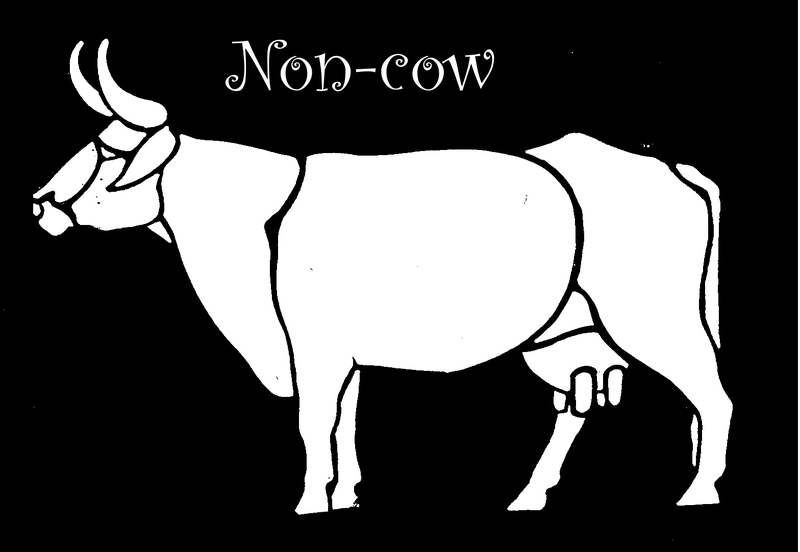 The meaning of a word may therefore be only an exclusion of contraries, e.g., the meaning of the word “cow” is “non-non-cow” (the exclusion of non-cow). Dignaga (c. 480–540) first introduced this theory, and Dharmakirti developed it. Under the influence of a critique of realistic Brahman schools (especially nyaya, mimansa, and the school of grammarians) the theory developed in two directions: Shantaraksita (725–788) emphasized the positive aspect (the meaning of a word is a positive but illusory mental image), and Dharmottara (c. 750–810) emphasized the negative aspect (the meaning of a word is a negative, and a universal is a negative designation of a difference). This second interpretation was accepted as final by the opponents of apoha. A discussion between the proponents and the opponents of apoha continued at least until the mid twelfth century. 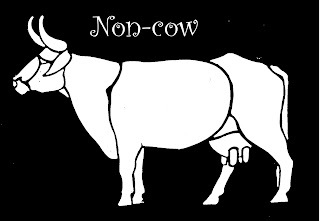 To explain how apoha functioned, Shantaraksita and Kamalashila used a distinction between two kinds of negation; of names (limiting, paryudasa) and of propositions (excluding, prasajyapratisedha). The law of the double negative held only when there were two negations of the same type, while apoha applied at the same time to both types. Contemporary logicians are greatly interested in this approach and the particular analyses associated with it. Although it is rather popular to call apoha “Buddhist nominalism”, this theory is neither ontological nominalism nor semantic nominalism. The thesis that the individual is the objection of verbal congnition is also rejected, as is the thesis that the conditions of truth can be formulated in terms of the immediate relations between a word and a thing. Apoha is rather a kind of conceptualism where the truth (agreement with reality) of concepts and words is purely illusory.